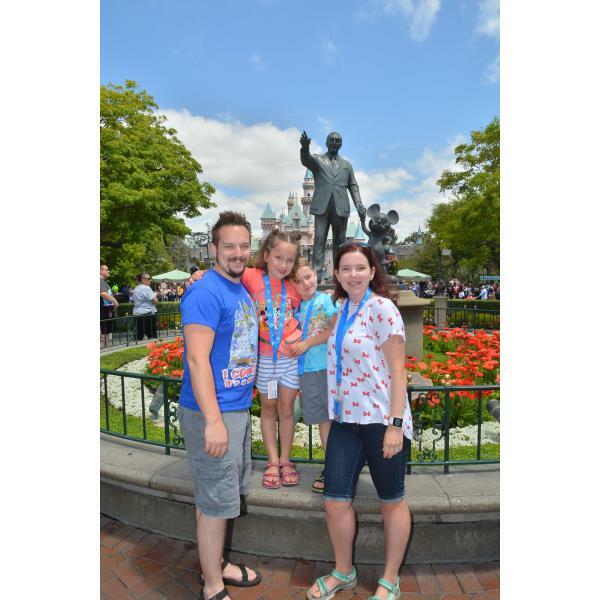 Melissa has helped me plan two intricate trips this year- one with a friend for RunDisney at Walt Disney World and another with my family at Disneyland. She is patient with plan alterations. She is kind when I ask multiple questions I could probably find on Google. She applied package discounts the day they came out without me even having to ask. This woman probably made at least 5 to 10 calls to Disney on my behalf- gladly. Before working with Melissa, I had planned 5 Disney trips on my own. I’ll never go back to planning them by myself. Using a travel agent is completely free (Disney pays them), and they take the fuss out of planning. The coolest part is that I still get to do all of the fun planning that I enjoy- such as fastpasses and dining reservations. I know she would have done them for me, but I love the excitement of those aspects. Melissa goes over the top of what is expected. She sent my family the sweetest care package before our upcoming trip- complete with items that she didn’t even know were on my shopping list! My kiddos now have entertainment for their flights and autograph books that are cooler than anything I would have found in Oklahoma. This is the first trip that my kids are interested in autographs, so I am thrilled to have these. She even included a gift card for a treat on her! There were many other special things included in the package such as current park maps, a custom itinerary- printed and bound, and information on Disney cruises. I was so happy to see the cruise information because I had chatted with her about how we want to go on one in the next few years. She had a note on it about having fun with future planning. Oh, I will!! Seriously Melissa is awesome! There’s literally nothing to lose by working with her on a trip. I’m so glad I found her! I can’t wait to plan my next trip with her!